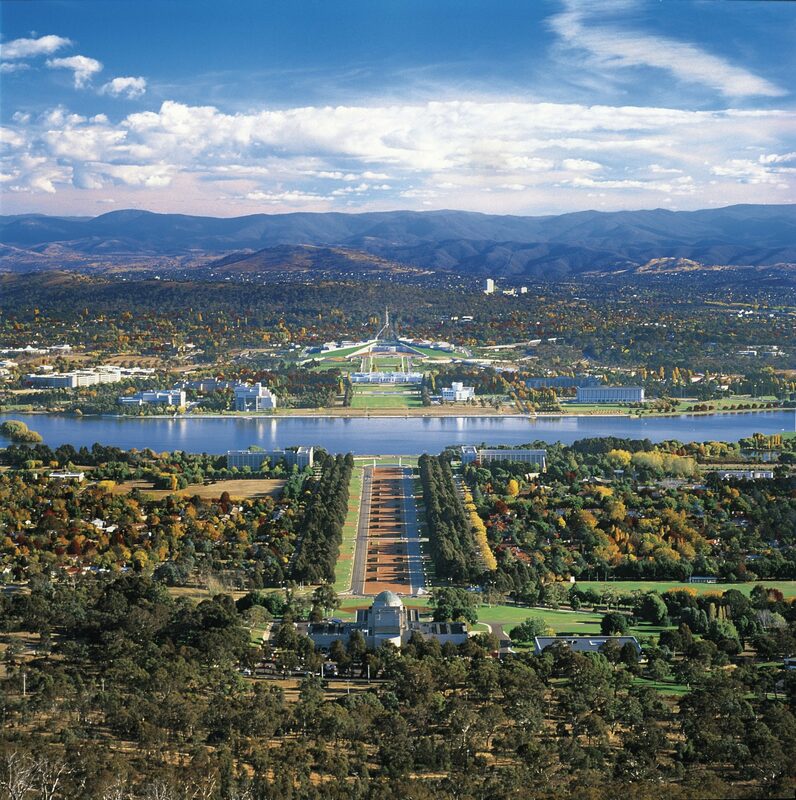 The Australian Capital Territory (ACT) was established in 1911 to create a capital for the newly federated country of Australia. Canberra, the urban centre of the ACT, is a thriving modern city with stylish restaurants, hip bars, boutique shopping and a busy calendar of events and festivals. The city’s national museums and attractions hold and share the treasures of our nation. The city is 150 kms inland and 571 metres above the Pacific Ocean, 281 kms from Sydney and 660 kms from Melbourne. The surrounding regions include the Snowy Mountains with skiing at Perisher Blue, Thredbo and Selwyn Snowfields; Lake Jindabyne, Lake Eucumbene and Blowering Reserve attracts anglers; frozen waterfalls and limestone caves at Yarrangobilly Caves; indigenous rock art and Aboriginal shelters at Namadgi National Park and the Bradman Museum in Bowral commemorating Australia’s best cricketer. There are 140 vineyards with more than 30 cellar doors in the rural countryside around Canberra. What does it mean to be an Australian? To find out, come and see the one city designed to reflect an entire nation. Canberra is a special place to all Australians. Its famous attractions, places like the Australian War Memorial, Old Parliament House and the National Museum of Australia symbolise who we are, where we come from and where we are going. It’s a journey every Australian, and anyone who wants to get to know us, should make. For further information about the Australian Capital Territory Tourism click here.